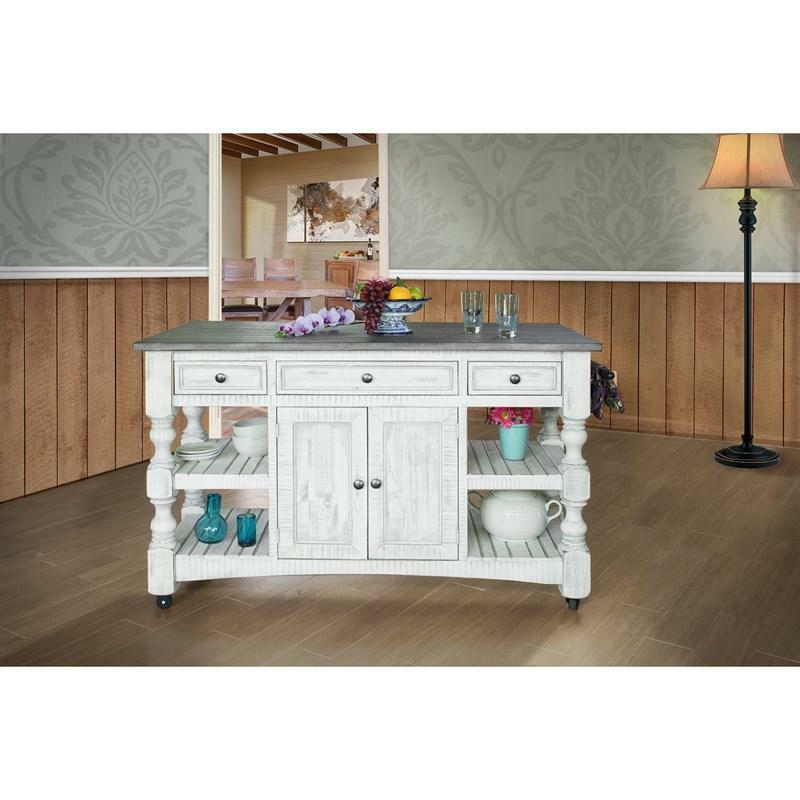 This Stone Kitchen Island is crafted from solid pine. 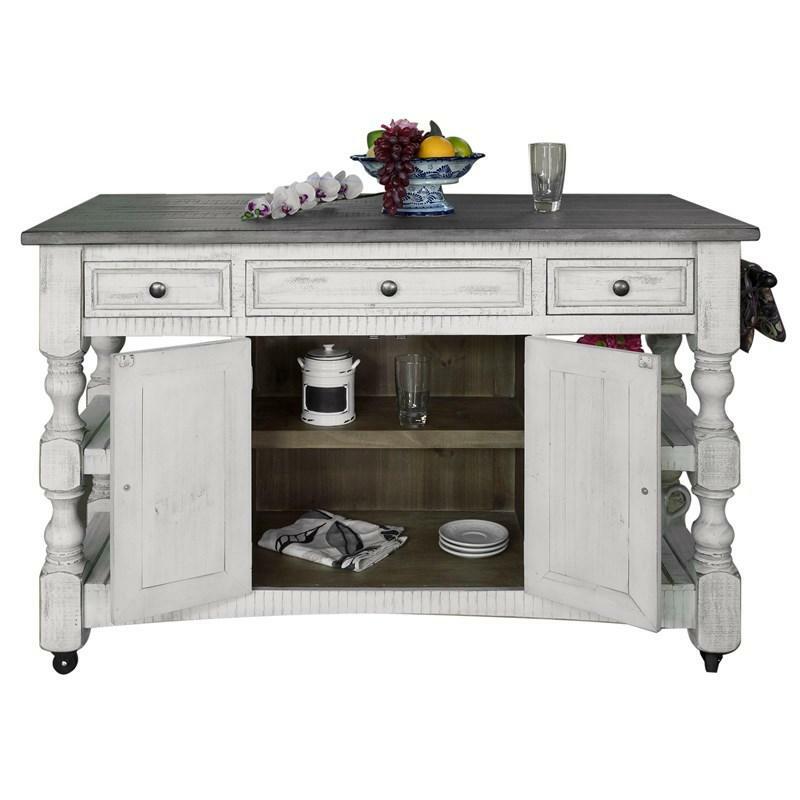 It comes in a two-tone grey and off-white finish and features 3 drawers, 2 doors, and 4 shelves. 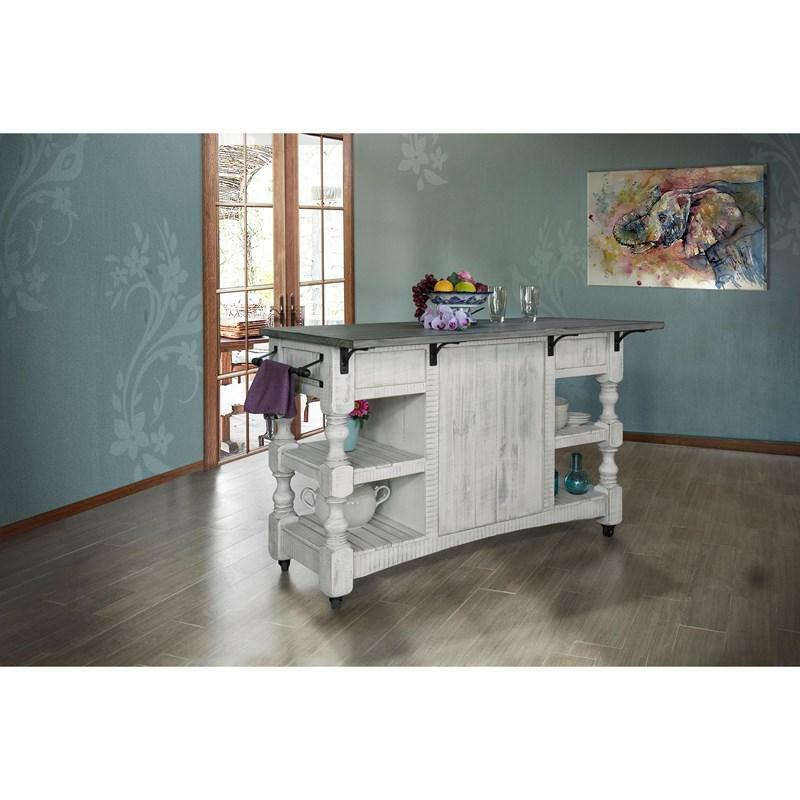 The four casters add the ease of mobility. Quality construction lasts a life-time.